Lisa Armstrong, MD is recognized by the American Health Council as “Best in Medicine” for her outstanding contributions to the medical field. Currently serving as the director of the Pediatric Emergency Department at Capital Health Systems in Morristown, N.J., Dr. Armstrong oversees the department, consults with patients daily and collaborates with the medical director and chair of the Pediatric Emergency Department. While she has held her current role as director for nearly two years, Dr. Armstrong has spent 13 years in the healthcare industry expanding her skills and knowledge in medicine, emergency medicine and pediatric emergency medicine. Interested in the diversity emergency medicine has to offer, Dr. Armstrong decided to pursue a career in the specific specialty. She enrolled at Rutgers New Jersey Medical School and earned a medical degree in 2004. After completing an emergency medicine residency at Morristown Medical Center, she realized she enjoyed the pediatric field and teaching academic medicine. 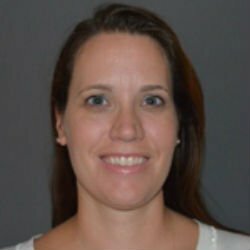 She decided to complete a fellowship in pediatric emergency medicine at Morristown Medical Center and later, earned board certification from the American Board of Emergency Medicine in emergency medicine in 2008 and the American Board of Pediatrics in pediatric emergency medicine in 2011. After earning board certification, Dr. Armstrong established a prosperous career at Capital Health Systems, where she first served as an attending physician for seven years before assuming the role of director of the Pediatric Emergency Department. A fellow of the American College of Emergency Physicians, Dr. Armstrong is a member of the New Jersey Chapter of the American College of Emergency Physicians. In her free time, she enjoys maintaining an active lifestyle by reading, walking, performing various exercise activities and quilting. Most of all, she enjoys spending time with her five children. With a successful career at hand, Dr. Armstrong attributes her achievements to her wonderful mentors and the nursing team where she completed her training. She plans to continue to excel in her career by providing further emergency room services to the community and becoming more involved in the New Jersey Chapter of the American College of Emergency Physicians. Capital Health is the region’s leader in providing progressive, quality patient care with significant investments in our exceptional physicians, nurses and staff, as well as advanced technology. Comprised of two hospitals (its Regional Medical Center in Trenton and Capital Health Medical Center – Hopewell), its Hamilton outpatient facility, and various primary and specialty care practices across the region, Capital Health is a dynamic healthcare resource accredited by The Joint Commission. A four-time Magnet-designated health system for nursing excellence, Capital Health serves as a Level II regional trauma center, comprehensive stroke center, regional perinatal center (including a Level III NICU), and emergency mental health screening center.